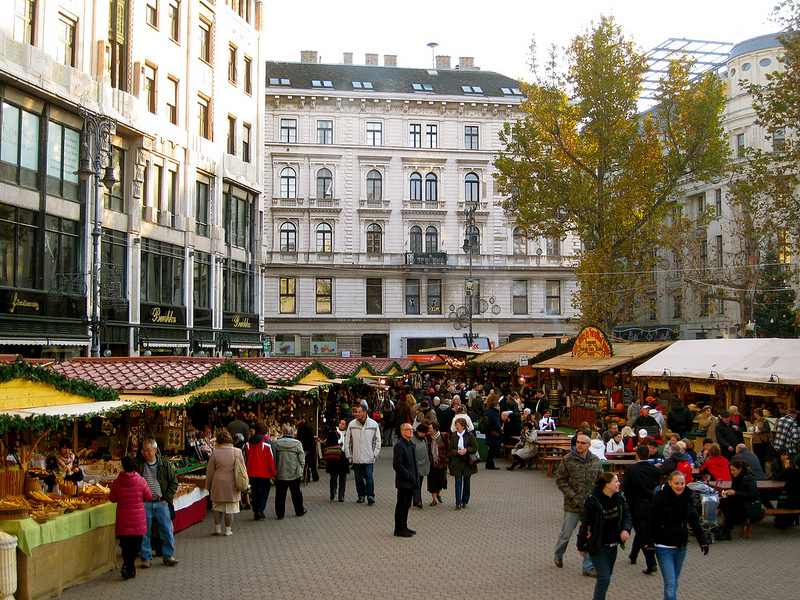 The Midnight Mass is one of the most awaited Christmas events by many religious Hungarians. Regular church goers will surely be there early to get a good seat in the church, but the Christmas Eve masses attract many thousands who otherwise do not observe their Christian religion so strictly throughout the year. For many Hungarian families this is a Christmas tradition to continue the Christmas Eve dinner with various family events to keep everyone awake and then get ready for the Christmas Midnight Mass. The family members get dressed in warm clothes, many layers of thick sweaters, a nice warm coat, furry boots, etc. as they will expect to sit or stand for an hour in a not so warm church (although the churches are heated for the Christmas mass, the inner spaces of the historical churches with high vaults, big domes are so huge that it is impossible to heat the old churches very well and economically). So if you want to attend the Midnight Mass in Hungary, do get dressed well to avoid catching a cold. St Stephen’s Basilica (aka St Istvan Cathedral): the biggest church of Budapest attracts thousands of visitors for the Midnight Mass. Luckily the Basilica can take in approx. 8,000 people! 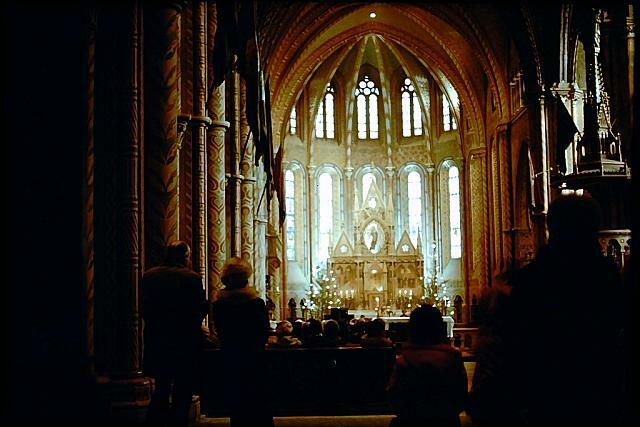 The Basilica is in downtown Budapest so it is very easy to get to for many locals and tourists too. The beautiful Midnight Mass is an ideal place if you like grandiose buildings, and big communities. Matthias Church: the Matthias Church or Matyas templom is more modest in its size, but it is very popular amongst locals living on the Buda side of Budapest (especially within the Castle District and its neighborhood). 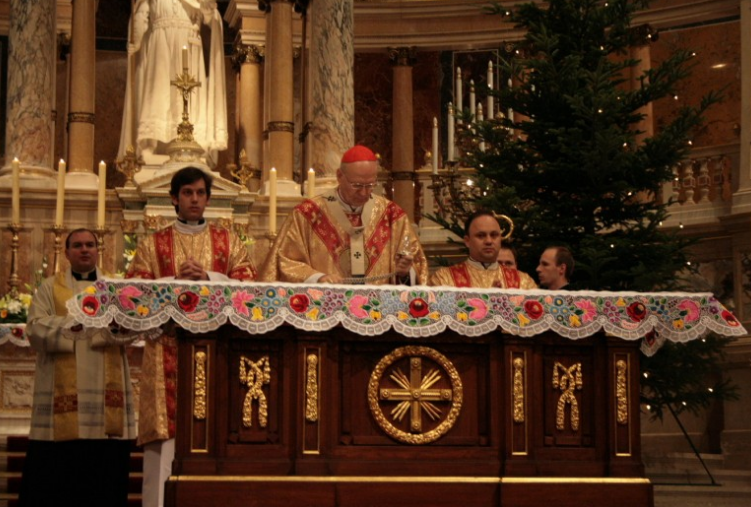 Most seats will be already taken about half an hour before Christmas mass starts. This mass is more intimate than the mass of the St Stephen Cathedral. Rock Church (Sziklatemplom): the Rock Church (aka Cave Church) is the peculiar church of the Hungarian Pauline order in Budapest. The church itself was built in the caves and rocks of the Gellert Hill at the beginning of the 20th century. You can attend the Christmas mass on Dec 24 here too. The church is right next to the Liberty Bridge and Hotel Gellert. The Christmas Eve masses start at 12am (midnight) and last for about an hour or so. The Midnight mass is called ‘Éjféli mise’ or ‘Szenteste istentisztelet’ in Hungarian, but it has several other, less used names too, like the Golden mass (aranyos mise), or the Angel mass (angyalmise) as a reference to the good tidings conveyed by the angels. In some of the Transylvanian Hungarian villages (now in Romania), the midnight mass is also called Bird mass (madár mise). 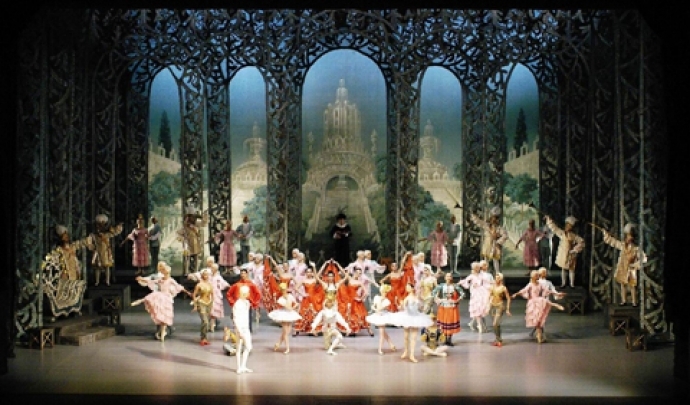 There are many folk traditions related to Christmas in Hungary. One of the most well known tradition is the chair made for Christmas Eve. On the evening of Christmas, on December 24, many Hungarians in the 19th century, and at the beginning of the 20 century, took a special chair with themselves to the church for the Midnight Mass. This chair was not meant to sit on, but rather to stand on, and see into the future / to unveil reality. On December 24, according to this Christmas folk belief in Hungary, which must have originated in the pagan times, if you stand on top of this special chair you will see the witches, and the evil spirits in your community. Later on this belief became widespread as the chair to see the future husband of a girl, which could be a popular Hollywood teenage film theme today. At that time, our ancestors, the mothers and grandmothers of our grandmothers truly believed in getting the name of their husband to be. The Midnight Mass tradition started in Bethlehem in the 4th century. 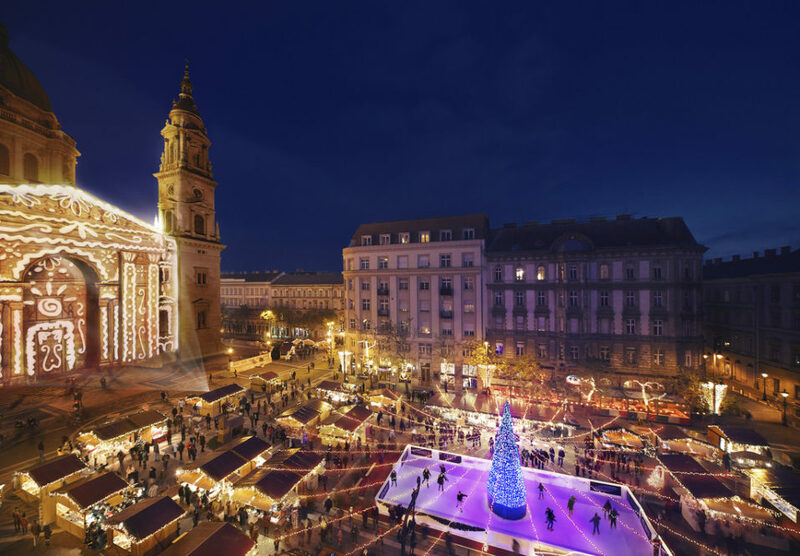 The Christmas Eve Midnight Mass is the end of the Advent period, and also the end of the winter fasting days, which are less observed by the majority of Christians in Hungary.